Learning about phonics and putting that knowledge into practice is an integral part of every child’s learning journey. 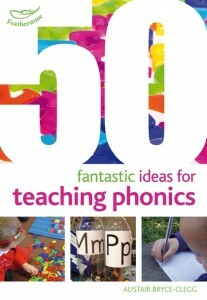 Good phonic knowledge is essential if children are to become successful writers and readers. This complexity can often make the teaching of phonics difficult (and a little dull!). This book contains a no nonsense ideas bank that are simple and effective when carried out, using readily available resources so that any Early Years setting can put in to practise Alistair’s innovative paths to teaching and learning phonics.